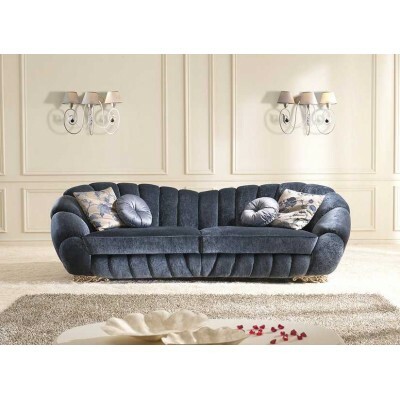 Handmade, Italian Pearl sofa by Gold Confort. Structure in wood, with Foglia Oro / Foglia Argento finish and fabric cat. Basic (9168). 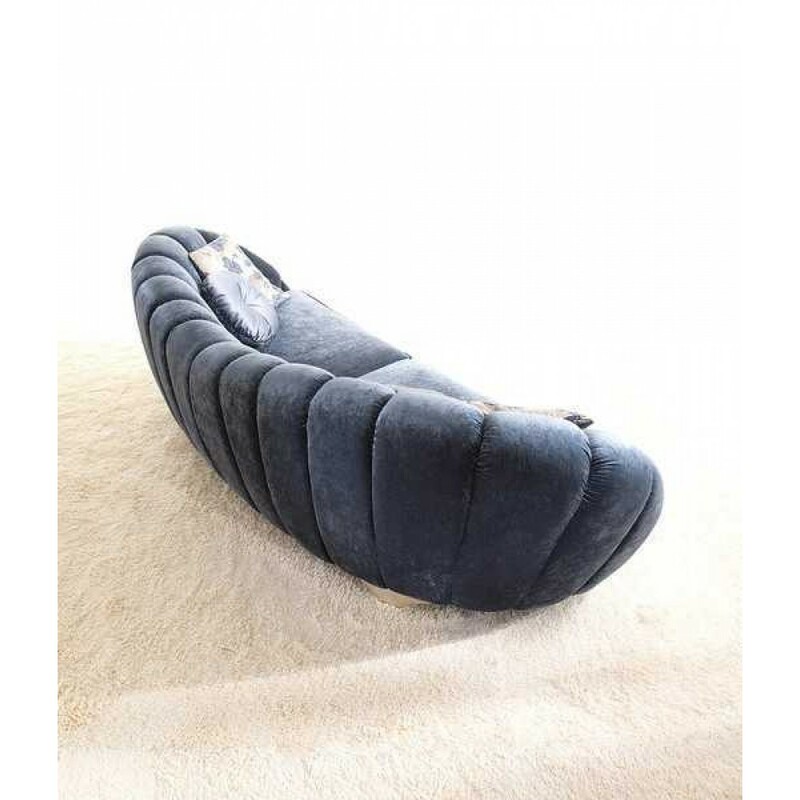 Its base includes elastic belts and the seating is made of polyurethane foam. The price includes the decorative pillows.